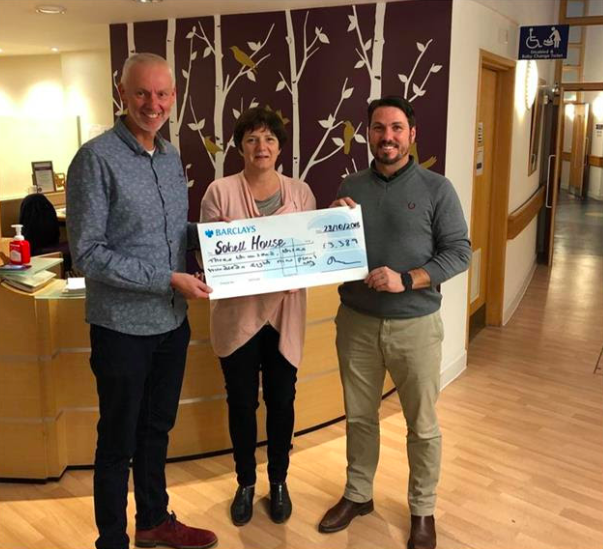 Last week, chairman Sarah Lacey and 2018 Charity Mixed Doubles tournament organiser Neils Reidock presented a cheque for £3389 to Tim Wraith of Sobell House. Many thanks must go to all the participants and players and those who made donations for the auction and raffle and other contributions on the day. 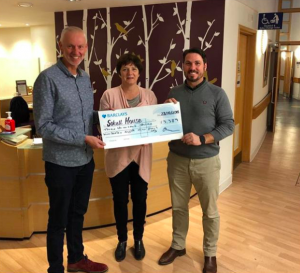 Particular thanks must go to our sponsor Alberon (software and website developers) who contributed £1000 towards the Charity. Tim Ault (MD) is a member at NOLTC, and was runner up on the event alongside his partner Mary Joyner. They lost out to Thomas Bowden and Gail Buswell in the final. We also need to thank Jan Roche who provided the Lunch and to Decathlon who provided the balls and some of prizes on the day. Special thanks must go to Niels and his charity sub-committee, particularly Hans Bakker and Pat Prosser for making this event so successful. We are planning on holding another event next year – watch this space – we will be in touch about charity nominations and also advanced notice on the date. In other charity news, our quiz night raise £50 for Children in Need 2018 at a fun-filled, and surprisingly controversy-free evening last Friday night. Thanks to those who attended. We’ll be running another one around Easter time, so do sign up and come-along. They’re generally a social and light-hearted occasion, and food is provided. We’d love to see you there.